When Draper talks about lighting, it is usually within the context of either controlling natural light through window shades and other solar control solutions, or choosing the projection screen that works best in the lighting conditions. However, an article on the subject of lighting from an AV integrator standpoint caught our attention this week. 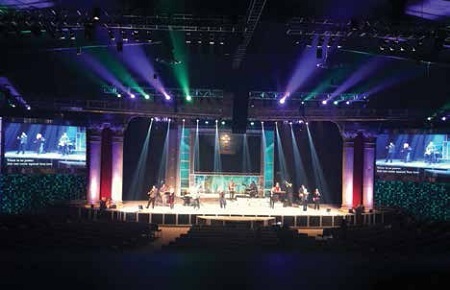 The article, by our friend Matt D. Scott of Omega Audio Video, located in London, Ontario, Canada, is entitled What to Know about Adding Lighting to Houses of Worship. This might seem a bit off-topic for us, but Matt’s piece underscores something that Draper has been saying for some time, and what InfoComm has been stressing through the development of its ANSI standard: everything is related. Audio, video, and lighting are all key components that need to work together to provide the very best performance. And by considering all aspects of an AVL installation, integrators have another source of revenue, so it’s all good! You’ll find Matt’s article here at New Bay Media’s AV Network website.